Tranquillity, charm, beauty, commodity… all these are features of our selection of rooms designed for our guests. 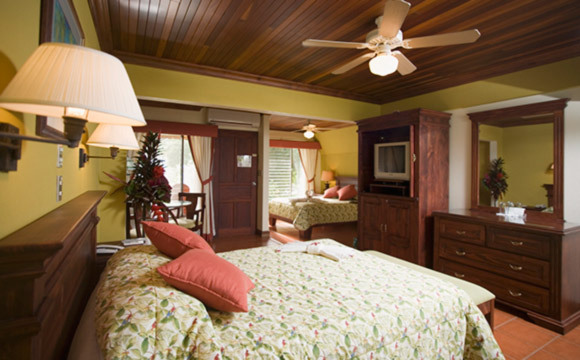 Discover our four different lodging options and select the ideal for you. 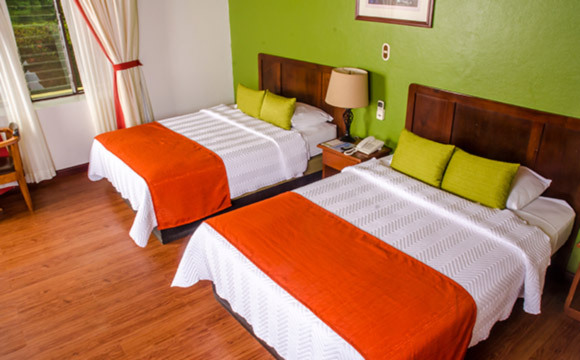 Bedroom with 2 double beds, satellite TV, direct dial telephone, wireless, radio-alarm clock, ceiling fan, air conditioning, coffee maker, bathroom with hot shower and hair dryer. Bedroom with 1 king size bed, satellite TV, direct dial telephone, wireless, radio-alarm clock, ceiling fan, air conditioning, coffee maker, river view balcony ,bathroom with hot shower and hair dryer. Bedroom with two queen size beds, mini fridge, reading table, coffee maker, satellite TV, direct dial telephone, wireless, clock radio, ceiling fan, air conditioning, bathroom with hot shower and hair dryer. 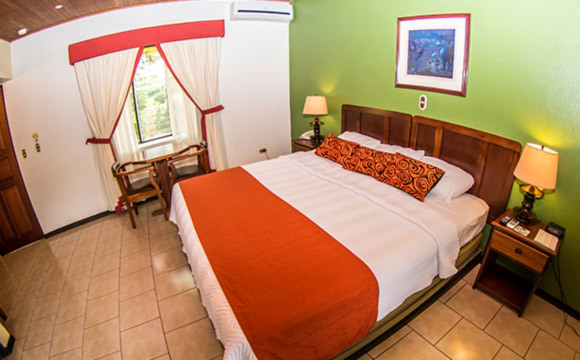 Bedroom with 2 double beds, ceiling fans, air conditioning, satellite TV, radio-alarm clock, direct dial telephone, living room, mini fridge, large terrace with san carlos river view. 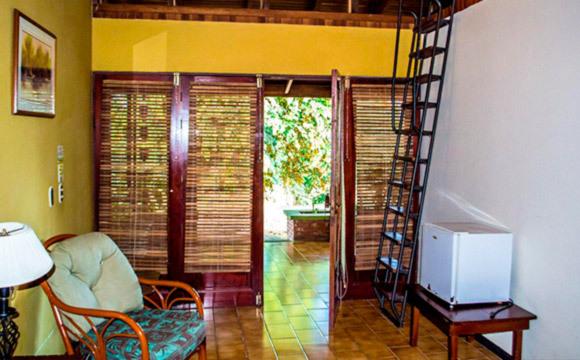 In a second floor mezzanine type with natural ventilation are located 3 single beds recommended for children between 5 and 15 years, also Family Suites with connecting rooms.